Get ready to soar! 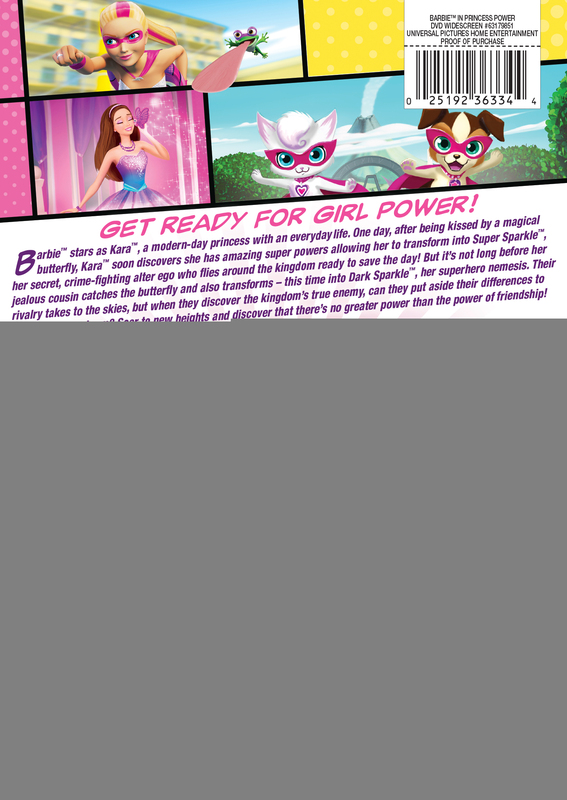 Barbie™ stars as Kara™, a modern-day princess with an everyday life. One day, after being kissed by a magical butterfly, Kara™ soon discovers she has amazing super powers allowing her to transform into Super Sparkle™, her secret, crime-fighting alter ego who flies around the kingdom ready to save the day! But it’s not long before her jealous cousin catches the butterfly and also transforms – this time into Dark Sparkle™, her nemesis. Their rivalry takes to the skies, but when they discover the kingdom’s true enemy, can they put aside their differences to form one super team? Soar to new heights and discover that there’s no greater power than the power of friendship!